EDF has worked with landowners in several states on a number of species that have benefited from the program, including the greater sage-grouse, lesser prairie-chicken, New England cottontail and monarch butterfly. 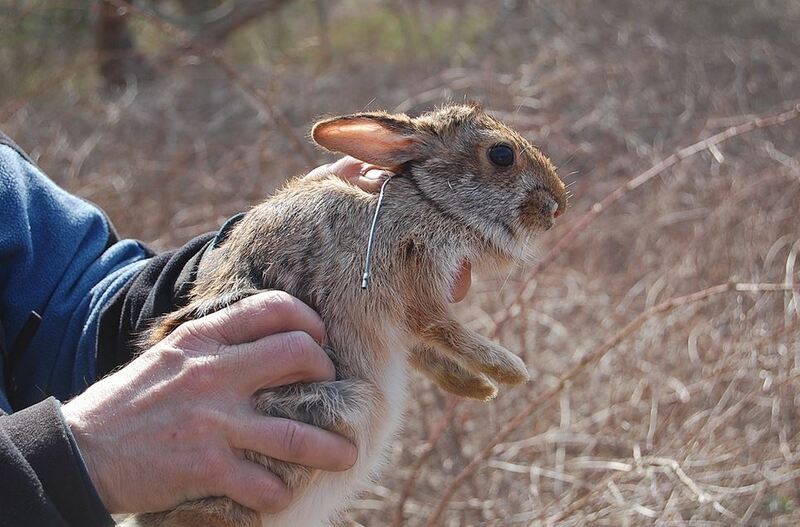 In the listing decisions for the greater sage-grouse and the New England cottontail, the U.S. Fish and Wildlife Service specifically recognized the value of private landowners’ conservation efforts and their enrollments in the Working Lands for Wildlife program as key factors in the decisions not to list the species under the ESA. Clearly, farmers and ranchers are making a difference for wildlife conservation, and farm bill programs are having proven benefits. 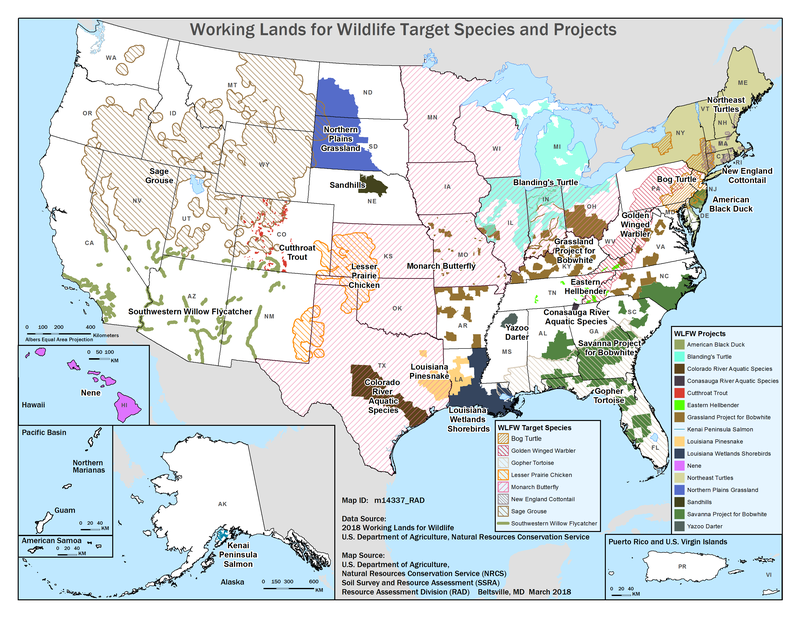 A key reason for the Working Lands for Wildlife program’s success to date is that it focuses limited resources on providing technical assistance and financial incentives for species that are indicators of the health of broader at-risk landscapes. By focusing dollars on restoring these larger landscapes, the program can support countless other wildlife and natural resources far beyond the single species of concern. Another efficient policy design is focusing resources on species before they reach crisis stage. By providing landowners with regulatory assurances for early and voluntary actions, the program can recover species sooner and possibly preclude the need for a species to be added to the endangered species list – an outcome that benefits everyone. The Senate farm bill includes language for strengthening the ability of USDA and Interior to work together to ensure regulatory certainty for key conservation practices under appropriate conditions. The smart combination of prioritizing large landscapes and promoting early action provides an excellent model for other federal, state and local policies and programs aimed at increasing landowner stewardship, prosperity and resilience. I hope to see these proactive, voluntary and cooperative efforts remain a priority as the 2018 farm bill moves towards conferencing a final bill. The more we can do to stimulate the conservation efforts of private landowners, the more successful we will be in protecting wildlife. Because, at the end of the day, the needs of our nation’s wildlife aren’t that different from the needs of agricultural producers. They both need healthy, productive land to thrive. This entry was posted in Endangered Species Act, Sustainable Agriculture, Wildlife Protection and tagged conservation, endangered species, ESA, farm bill, greater sage-grouse, habitat, lesser prairie-chicken, monarch butterfly, NRCS, prairie-chicken, sage grouse, USDA, USDA NRCS, wildlife, wildlife conservation, Working Lands for Wildlife. Bookmark the permalink. Both comments and trackbacks are currently closed.